Smartphone is a high tech which helps all people in needs. Everyone already knows how important this device in this life. Also, we can do anything with it easily. But there are some people who cannot take care their own smartphone and the result they need to buy a new one. The mobile phone is a delicate thing. If we do not take good care of it, the phone will break easily. That is why from now you need to think about your beloved device. Here, see the information how to take care your smartphone from the outside and inside. As you can see this day people cover their smartphone with a case to protect it. If you do not use it, be sure to buy one immediately. Sometimes, we do not aware when we bump someone and our phone fall as the result. If you have a case, your phone will be protected. But if you do not have it, you already know what kind of tragedy will happen. Protect your smartphone LCD at all cost because it is the importance of your phone. So, what kind of protector which we need to use? We recommend you choose a tempered glass. Because it is quite thick and protect your phone for sure. Do not another one because it is really thin. Clean your phone regularly. We are sure you do not want to see a dust on your device, right? That is why you need to do it. Sometimes we forget our hand dirty and touch the phone. Especially if it gets dirt in the screen area. It will make your phone unresponsive as the result. Now, for the maximum protection, we also tell you how to take care your smartphone from the inside. The first thing you must do is set a password. We do not know what kind of annoying people will touch your phone if you leave it all alone. Today world is really cruel, you do not know what kind of people will take advantages of your smartphone. That is why never tell your smartphone password to others. You can also download a booster program for your smartphone. It will let your smartphone run faster and can analyze the file which slows down your device. Be sure to use this one once a week to analyze all your data. Do not need to worry, this kind of application will not make your phone run slowly. 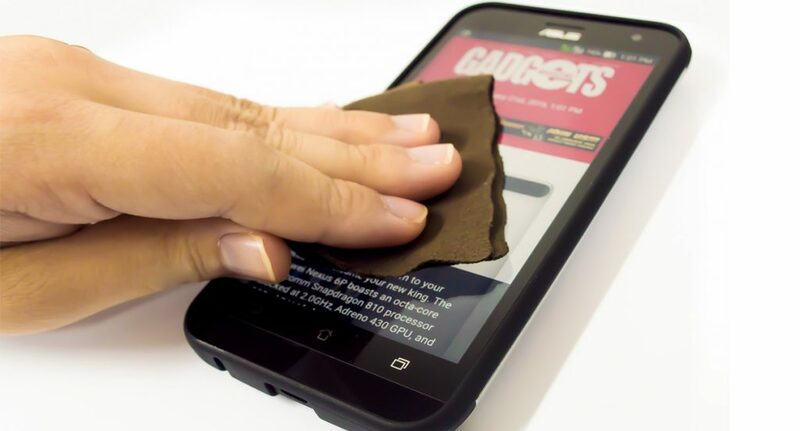 Now, follow our method to take care your phone right away. If you do not satisfy with the tips above, you can ask us for more information. Now, for you who love to play a game on your phone. We have the unique games on the smartphone. Check it out right away.